Are you looking for the ultimate commercial grade new or used 5500 Ram Truck in northeastern Oklahoma? Vance Chrysler Dodge Jeep Ram in Miami, OK specializes in helping hard working Oklahomans find a truck that will work just as hard as they do. We are the premier dealership in this part of the state. In fact, it is worth the drive from Missouri and Kansas to get a truck that will tackle the most challenging jobs you need to get done. 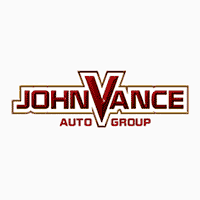 Vance Auto Group has been successfully serving our Oklahoma neighbors for over thirty years now. We have nine full service dealerships with a large inventory of vehicles to select from. We can get you into the best truck for your business. The new Ram 5500 Chassis Cab has up to 43,000-pound gross combined weight rating (GCWR) which is more than any other truck in its class. The 5500 Chassis Cab also offers more torque than any other trucks in its class which means up to 800 pound-feet from the available Class-Exclusive 6.7L Cummins® Turbo Diesel engine and up to 429 pound-feet from the legendary 6.4L HEMI® V8 engine. Another Best-in-class for this incredibly hard-working truck is an available dual alternator system that delivers an output of up to 440 amps which is designed to power a wide variety of upfits. This truck can meet any function you need it to do from pushing, hauling or lifting. The efficiency of the Ram 5500 Chassis Cab is unmatched. You can spend more time working since it is also Best-in-Class with 10,000-mile gas engine oil change intervals and Best-in-Class 12,000-mile diesel engine oil change intervals. Use your time for working and less time for maintenance. Even the technology of the Ram 5500 is ahead of its class with the available 8.4-inch and the Largest-in-Class 12-inch touchscreens offer you an unprecedented view of your surroundings, thanks to an available Class-Exclusive 270-Degree Surround View Camera. There is so much more to learn about the Ram 5500 Chassis Cab that will be an invaluable part of your work. Come see us at Vance Chrysler Dodge Jeep Ram in Miami, Oklahoma where it is our work to get you into the truck that will make your job easier and more functional. We are dedicated to serving our neighbors.